Za ovaj post složile smo vam mali kolaž fotki s našeg bloga...naime, od danas i nas možete naći na Instagramu :) Nadamo se da ćete nas pratiti i uživati u slikicama! For this post, we made a little collage of some photos from our blog...since, from today, you can find us on Instagram :) We hope you'll follow us and enjoy in our pics! Beautiful photoes! And title of Your blog is intriguing. Greetings from Poland! 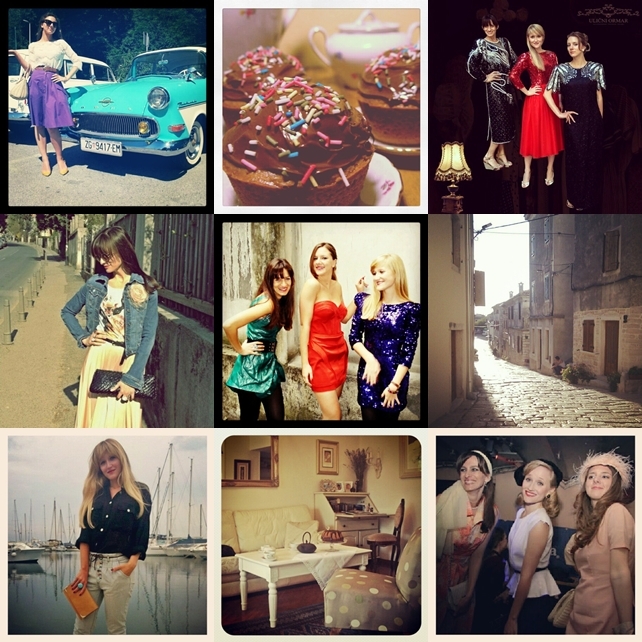 A great selection of pictures - the cobbled street looks so beautiful. really amazing foots, i definitely will follow you on instagramm now! Congratulations on your first insta-post, the collage is so pretty and displays all the things I adore about your blog and style. super ste i slike su vam slatke! Odlične fotkice! Potražiti ću vas! Ahaa, its pleasant conversation concerning this post at this place at this webpage, I have read all that, so at this time me also commenting at this place. IE, it's got some overlapping issues. I merely wanted to give you a quick heads up! Other than that, excellent website!